316 / 25mm Rockwool / 304. 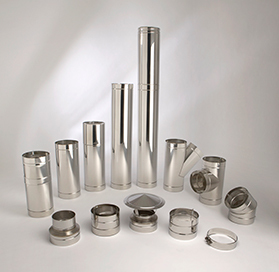 Available from 100mm to 300mm diameters from stock, larger diameters and special items available on request. 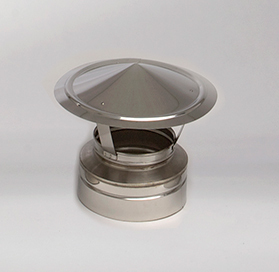 Midtherm Flue Systems Limited offer an extended 10 year warranty for HT-S for registered systems installed and maintained in accordance with the guidelines in our extended warranty scheme. 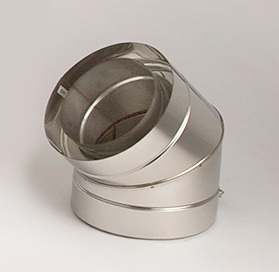 Midtherm HT-S is Class 1 Twin Wall insulated flue systems for medium and high temperature applications for gas, oil and solid and multifuel applications, manufactured using the latest manufacturing and welding technology ensuring high quality and value for money. 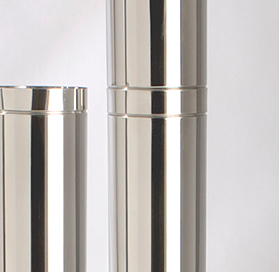 HT-S is available in 100mm, 130mm, 150mm, 175mm, 200mm, 250mm, 300mm and 350mm. HT-S has a 0.5mm 316L 2B grade stainless steel inner liner with a welded seam, 25% thicker than most other twin wall systems on the market, 0.5mm 304 BA grade stainless steel outer casing with a welded seam and 25mm high density mineral wool insulation. HT-S has a smooth, modern appearance, the external liner has a mechanically formed socket and spigot connection that ensures a consistent, easy, close fitting joint every time. The locking band has an over centre stainless steel clip that is easy to secure. 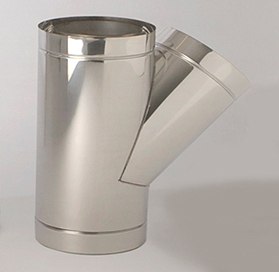 This locking band is a channel type giving a smooth line to the system and improving aesthetic appearance of the flue. A 1500mm length is available in this range. HT-S is designed for the domestic and commercial market serving gas, oil, solid fuel installations, peat, wood and other biomass. Midtherm HT-S has a high temperature or low temperature negative pressure designation depending upon the components used and the installation design making it a good all round product for multiple installation requirements. Push fit socket and spigot type joint, to be installed with a locking band in place.